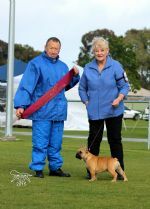 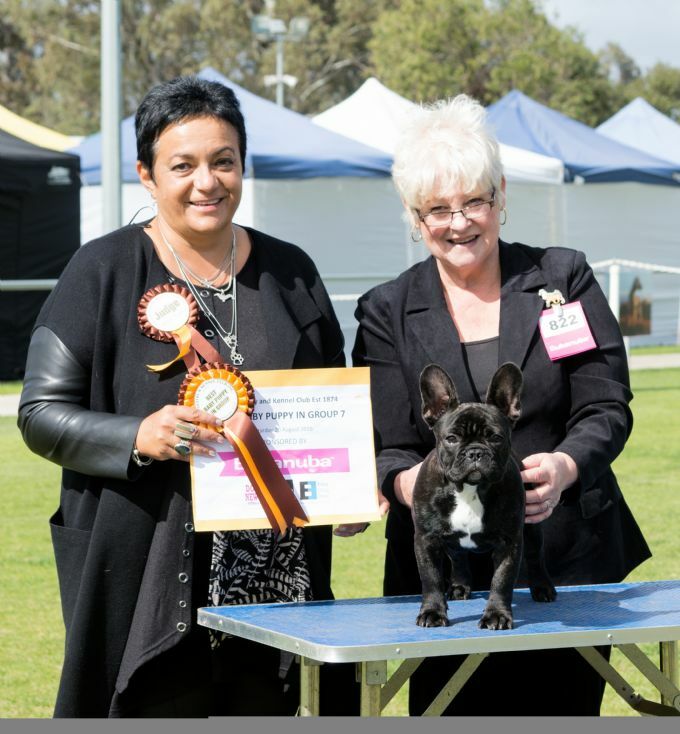 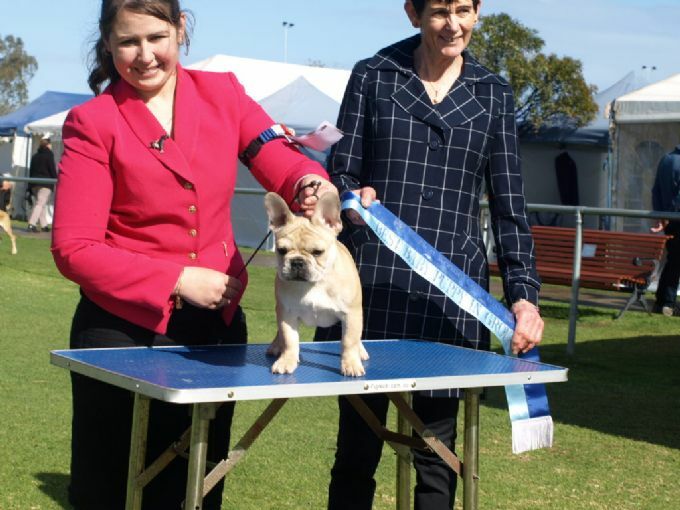 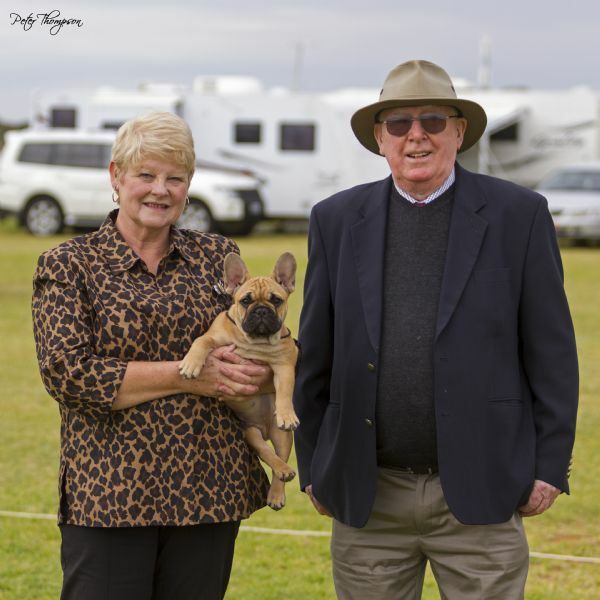 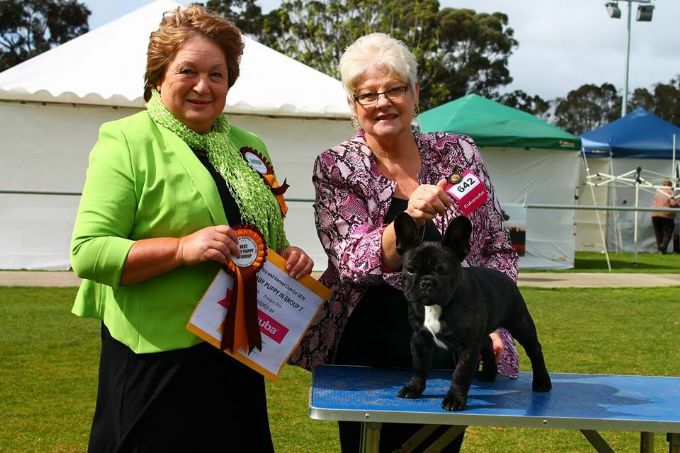 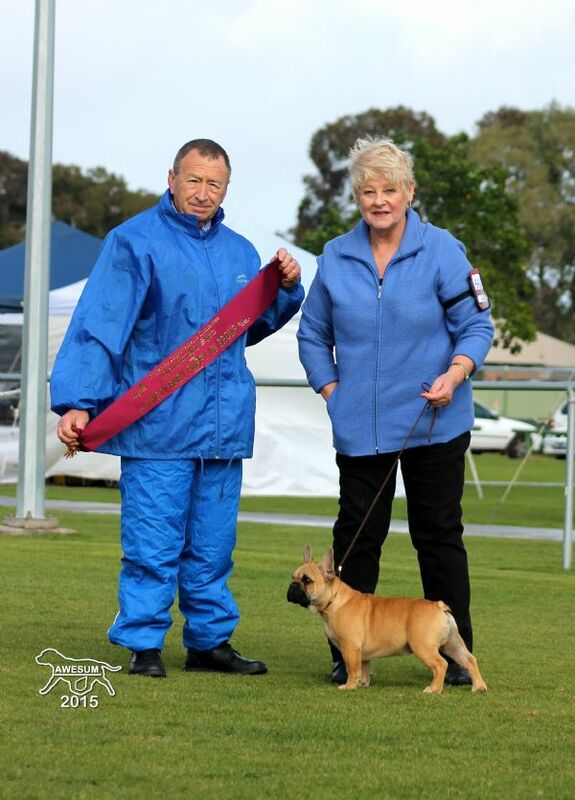 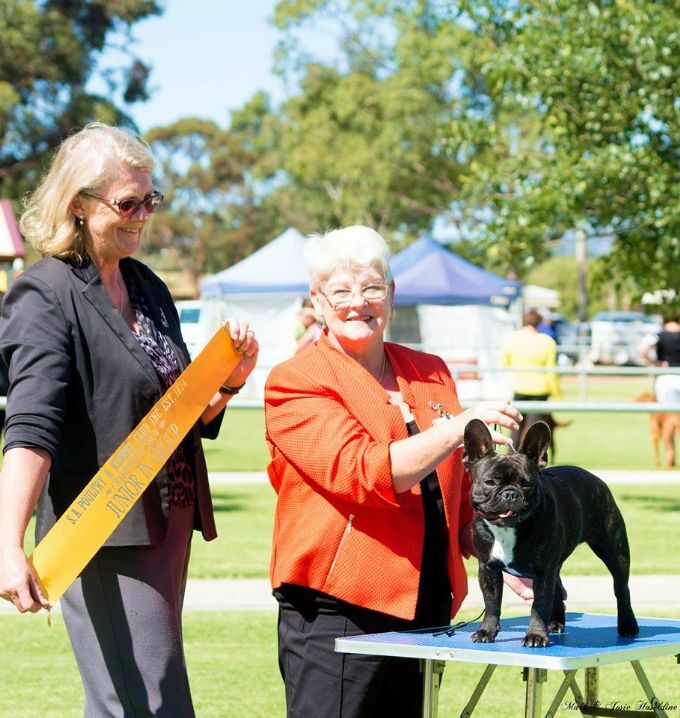 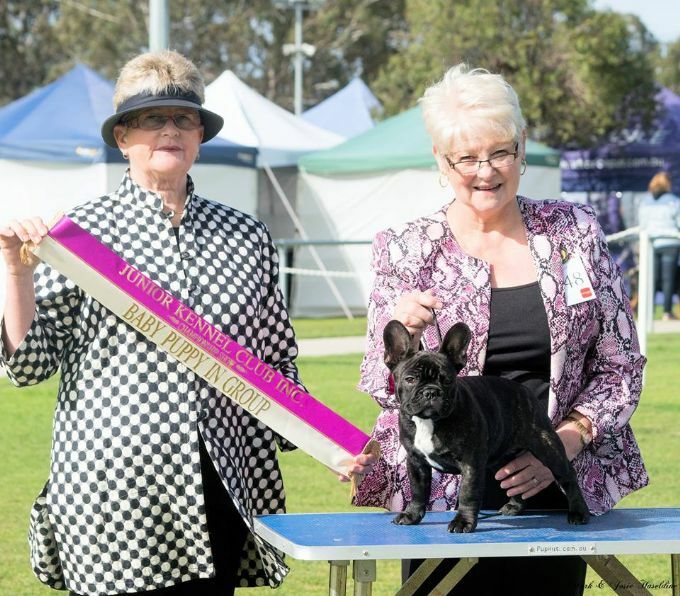 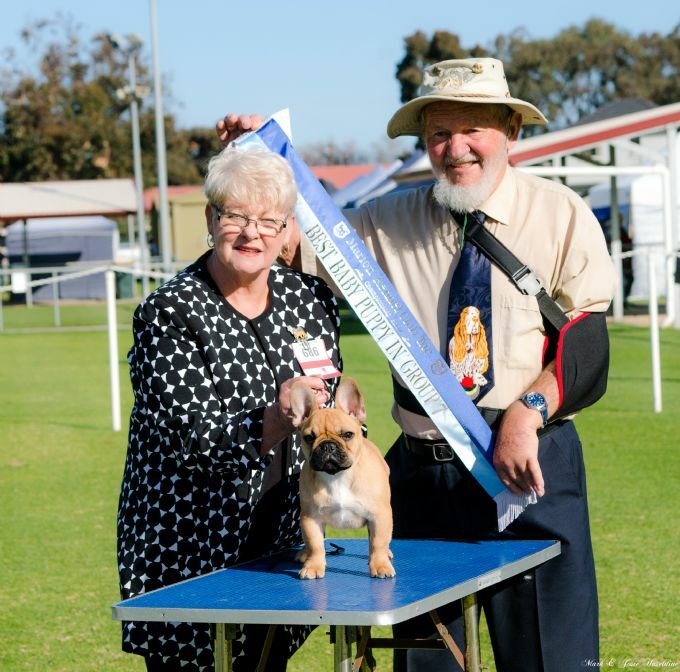 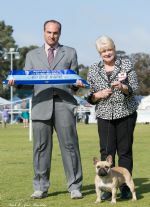 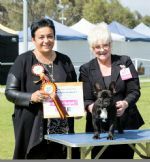 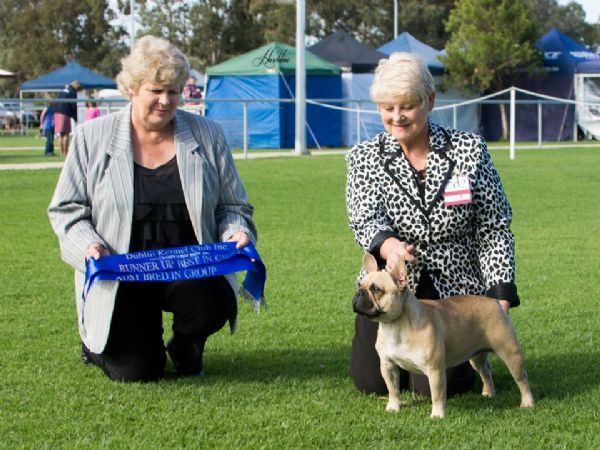 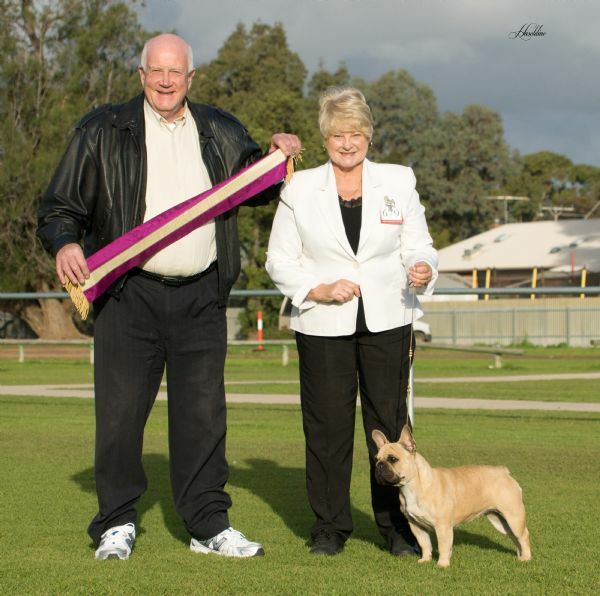 Best of Breed at Adelaide Royal 2012 with an entry of over 25 french bulldogs. 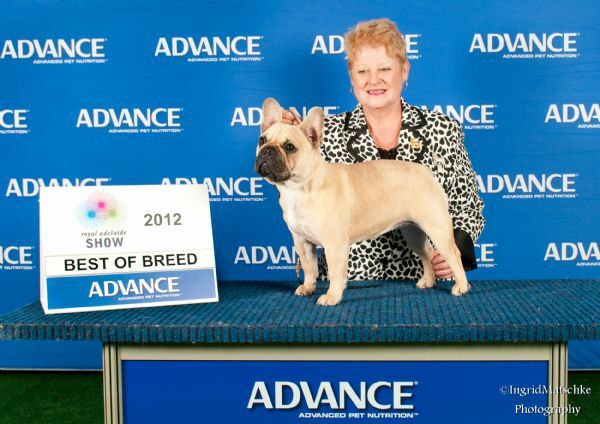 Best of Breed under French Bulldog Specialist with over 26 entries. 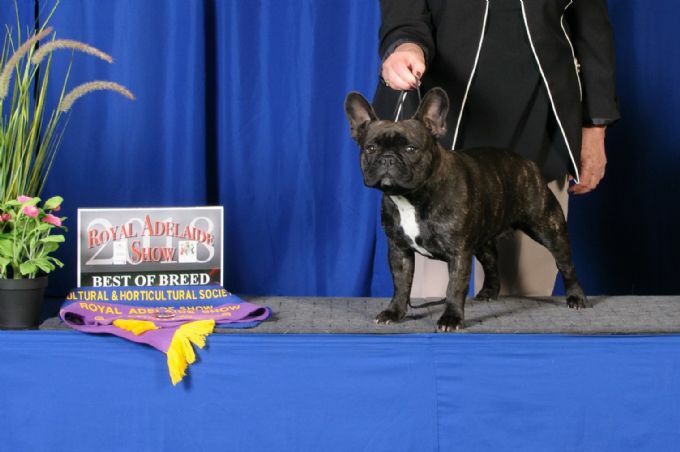 Oldworld Bitter Sweet, on the move. 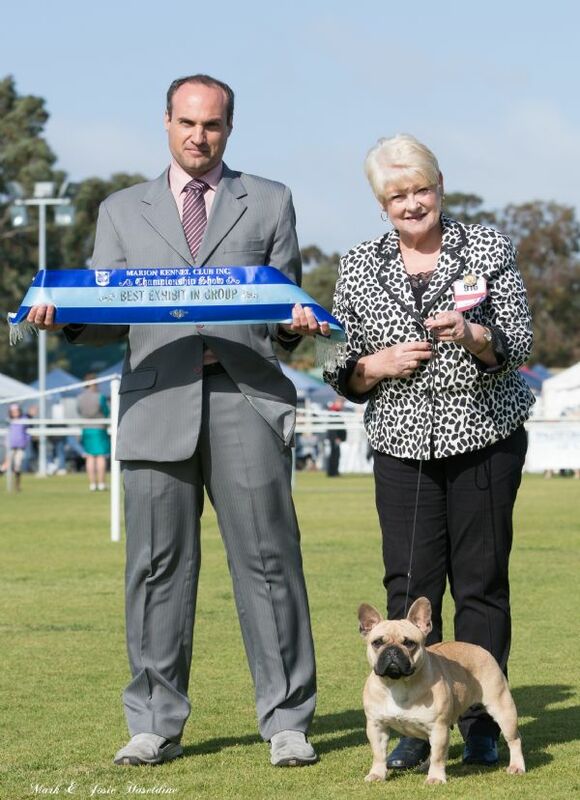 BEST EXHIBIT IN GROUP under Dr C Rossi (Brazil) 88 entries.Marion Kennel Club. 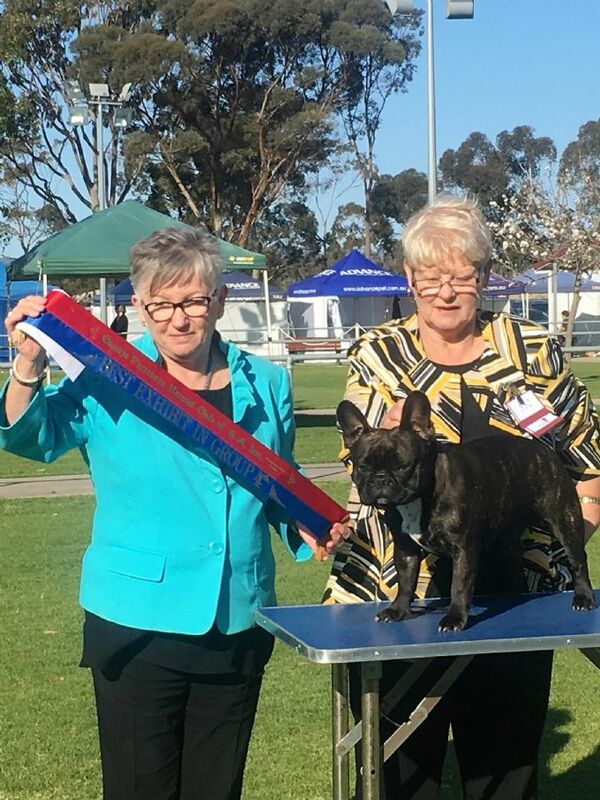 Ch Matgo Little Fleur BOB Adelaide Royal 2018 47 entries..